Seacoast Tree Care, LLC is seeking a Tree Crew Leader. 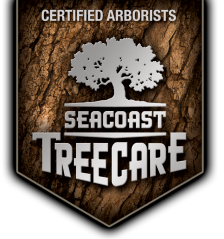 At Seacoast Tree Care we're dedicated to restoring, maintaining and conserving diverse landscapes throughout New Hampshire, Maine and Massachusetts. Applicants must be passionate about tree care, not just interested in a job. Applicant must have high personal standards for themselves and the company they work for and be comfortable working with the Seacoast Tree Care team to achieve the company’s goals. Applicant must report to the office each day prepared to work a full day and ready to receive daily work orders from supervisor or sales representatives to discuss any special instructions that may apply. Applicant will direct crew members to prepare equipment, tools and supplies that are necessary for the day. Upon arrival at job site, applicant will direct crew in a safe, professional performance of work to be done, organize the job assignments and their progression so that work is completed as efficiently as possible. Compensation based on qualifications and experience. Seacoast Tree Care offers competitive wages, medical, dental, and life insurance benefits, as well as 401(k). Pre-employment Drug Screen and criminal background check required. Seacoast Tree Care is an Equal Opportunity Employer. Please submit resume with 3 references. Seacoast Tree Care, LLC is seeking a Tree Crew Leader. At Seacoast Tree Care we're dedicating to restoring, maintaining and conserving diverse landscapes throughout New Hampshire, Maine and Massachusetts. Applicants must be passionate about tree care, not just interested in a job. Applicant must have high personal standards for themselves and the company they work for and be comfortable working with the Seacoast Tree Care team to achieve the company’s goals.